There are two paths to qualify for our 2018 World Championship. First, race any one of our Regular Season Events AND place in the Top 10 Male or Female Elite, or Top of your Age Group (See our 2018: Age Groups article for specifics on how many places will qualify for your Age Group). Next, you've earned your spot at our Regional Championships. At the Regional Championship, you must place in either the Top 20 Male & Female Elite (at any non-North American Championship) OR attend the North American (NorthAm) Championship and place in the Top 20 Male & Female Elite International Racers, or the Top 20 Male and Female Elite US (citizen) racers. At the Regional Championship, you may also place in the Top of your Age Group See Important Details below for qualifying places for your age group). Congratulations, you've qualified for the World Championship! First, race any of our National or Regional Series events AND place in the Top 10 Male or Female Elite (Top 20 for MENA or LATAM), or Top of your Age Group (See Important Details below for qualifying places for your age group). (Optional) All racers that qualify for the World Championship at a National or Regional Series event, are also qualified to race in the Regional Championship. Racers that qualify for the World Championship at a National or Regional Series event are NOT required to race the Regional Championship in order to attend the World Championship. Go straight to the World Championship! Racers that qualify for a Regional Championship are qualifying for the next calendar Regional Championship in that region (for example, a race in Korea would act as a qualifier for the SEA Regional Championship). A roll down qualification system will be used for the National and Regional Series and Regional Championship ELITE Category, whereby an already qualified competitor is “skipped” and the next eligible competitor qualifies. There is NO Roll down process for the Age Group category (a person may qualify more than once). We have reached out to Spartan Race this morning to find out more about this new development and what it means for athletes already registered for competitive heats in 2018. Mud Run Guide will update this story as we have more information. 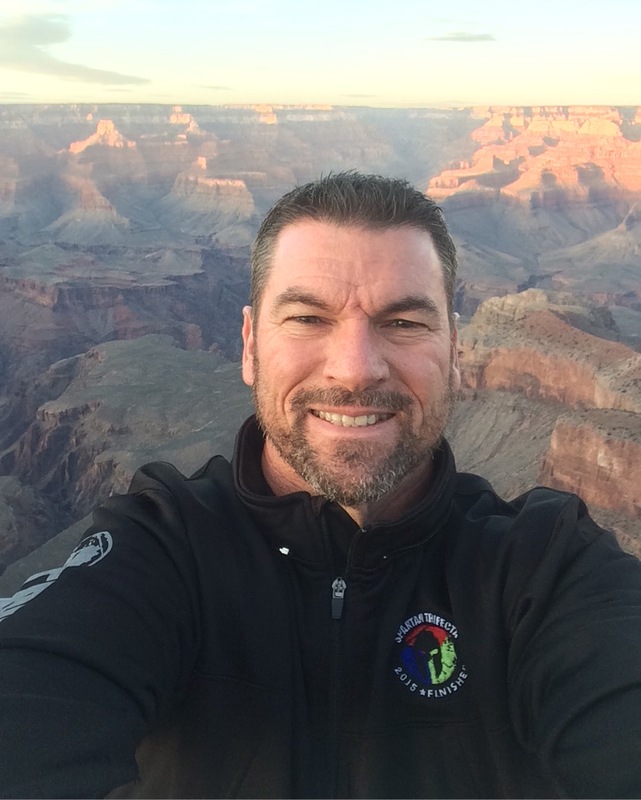 Mud Run Guide spoke with Joe DiStefano, Director of Sport at Spartan Race, this morning. He said more information will be coming out in the next week about the new qualifications for 2018 but until then did shed some more light on a few major questions we have received this morning. What happens if I am already signed up for a competitive heat in 2018? Joe Di said that athletes who have signed up for a competitive heat will automatically race within their age group. Will there be mini heats within the competitive heat? Yes. Age groups will go off together. The smaller age groups might be coupled together. So within the 300 person, competitive heat will be mini heats of age groups. 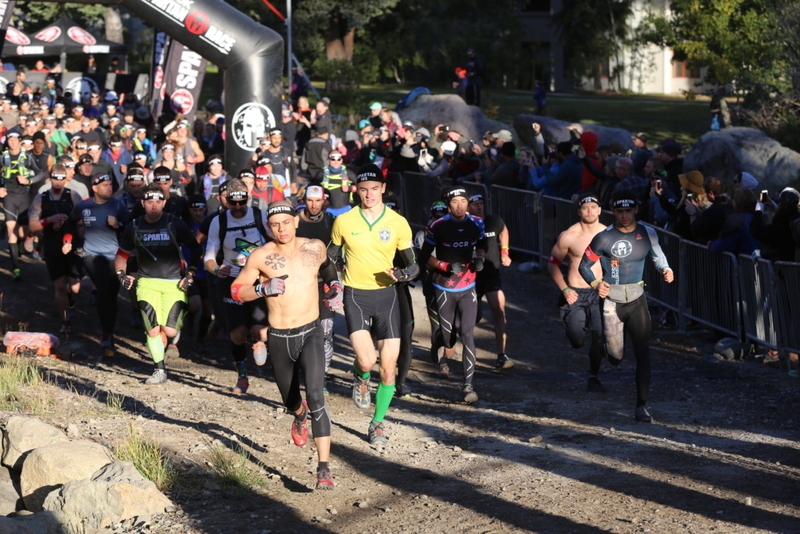 Mud Run Guide will continue to look into more clarification and more information as Spartan Race releases it. I think they underestimate the thoroughbreds there are in the 45-59 range of age groups. 5 slots with no roll down is going to be rough to qualify to put it lightly. 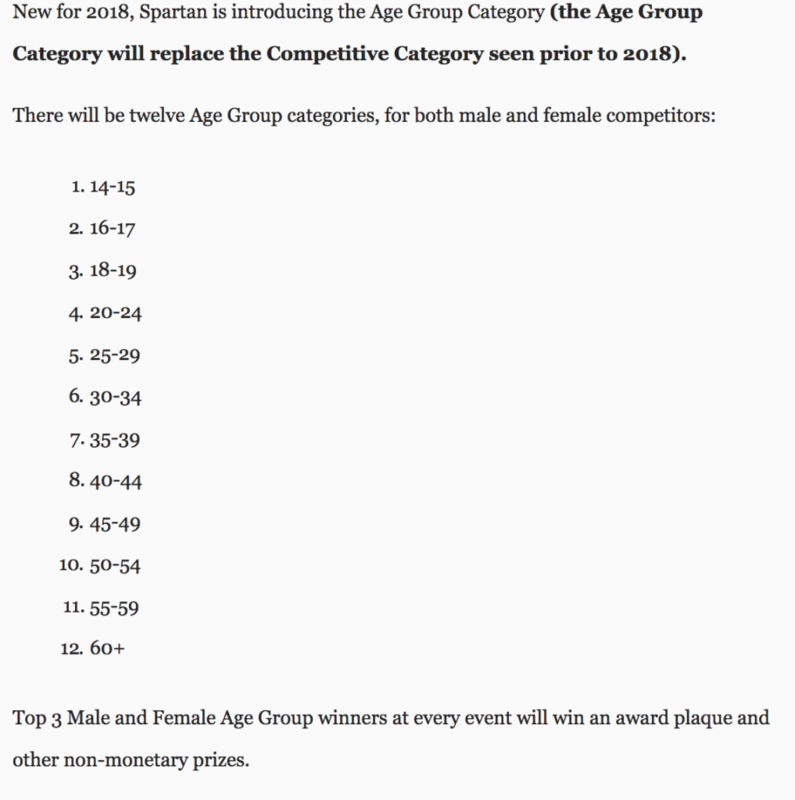 I think there are enough people competing in those 4 age groups to make it 10 instead of 5. Will they still have the Elite Masters? Could get interesting if they eliminate that. It’s based on your age the day of the actual race, so if you have a mid-year birthday you could be competing in a different age category. If you raced in the elite heat and finished top 10, then you would be going to the Regional Championships where you have to finish in the top 20 is that correct? and if you raced elite heat and finished in the top in your age group does that count? or do you have to decide to race the competitive because i could see some elite runners dropping into that category. Anyone know? I noticed that you have to be a “qualifer” to sign up for age groups now. How do you qualify for age groups? Also for elite.